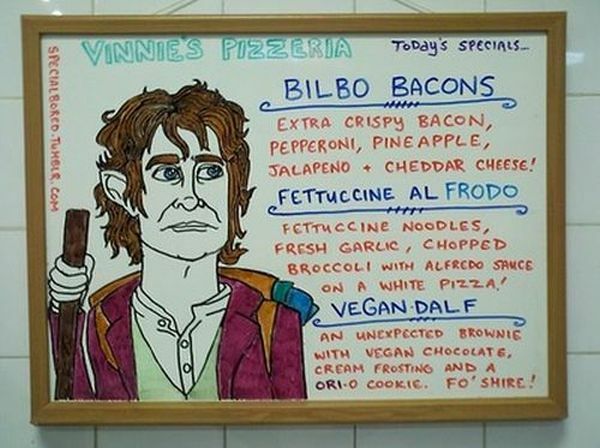 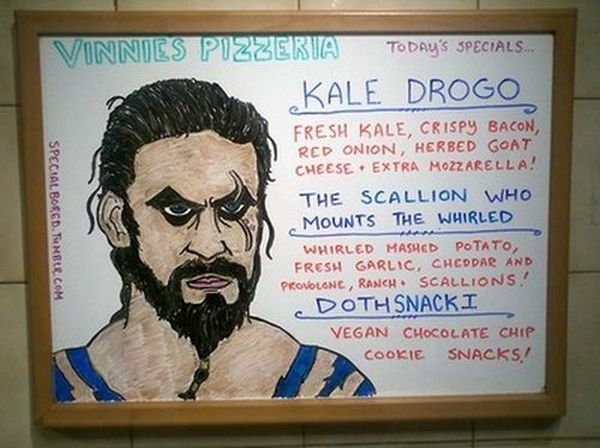 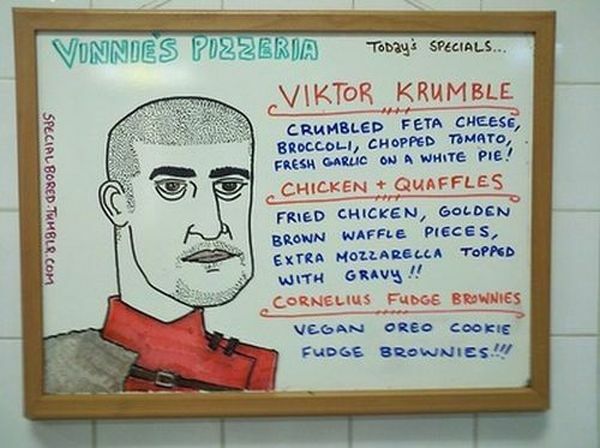 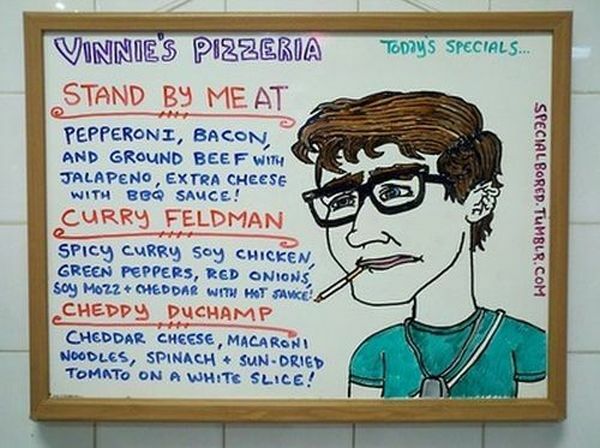 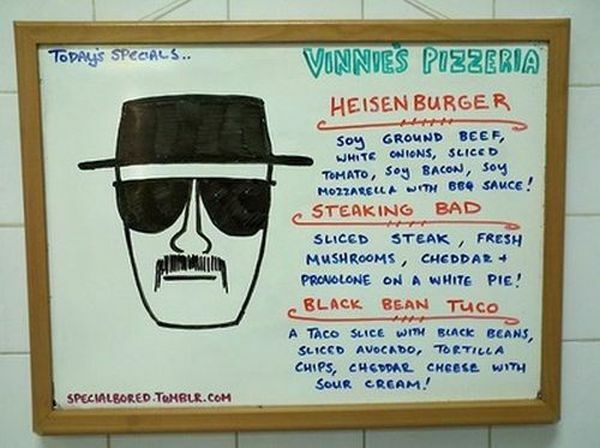 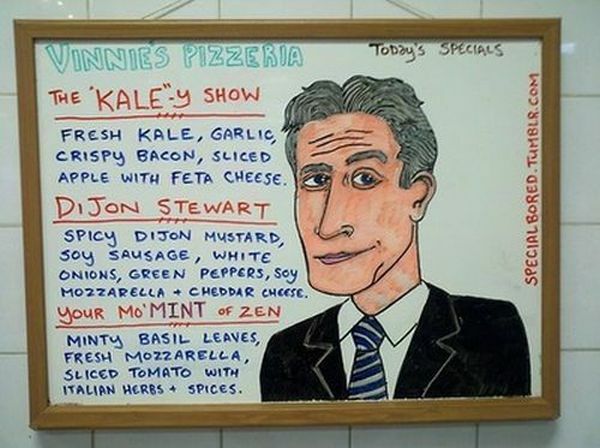 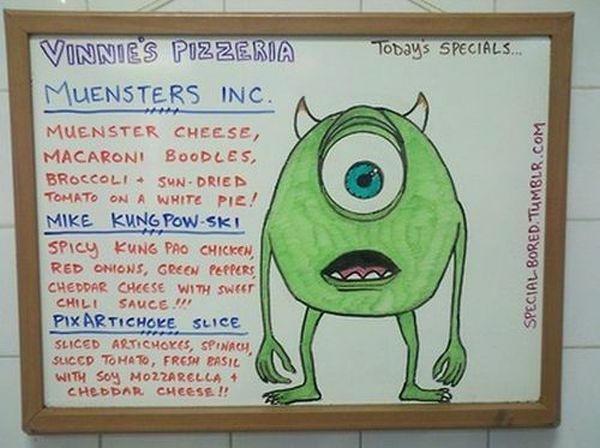 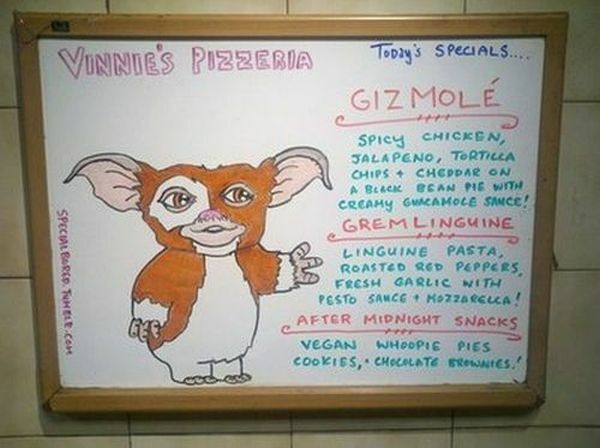 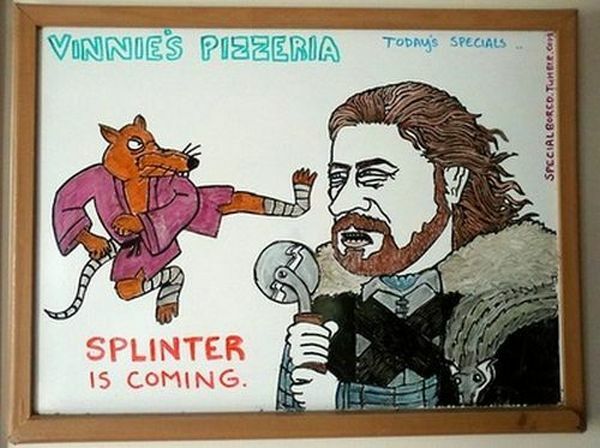 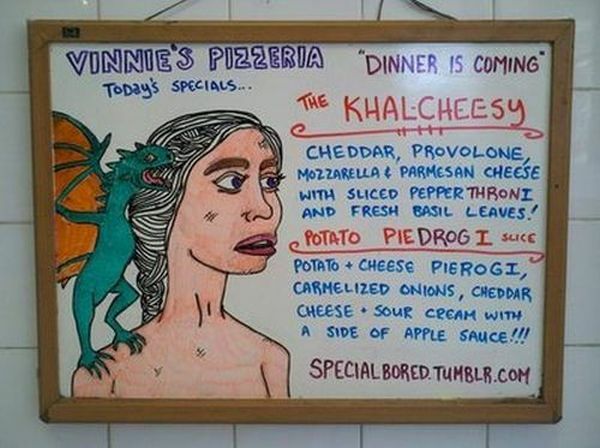 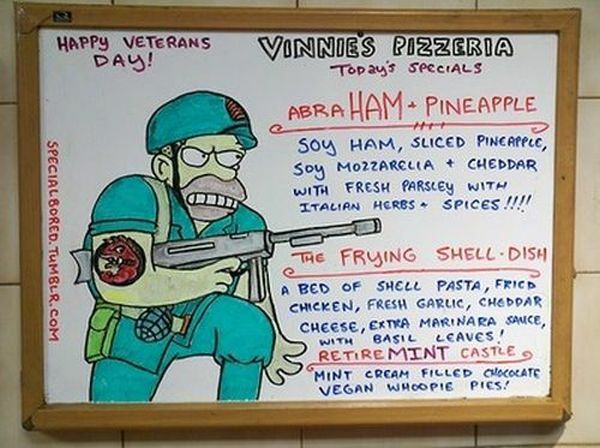 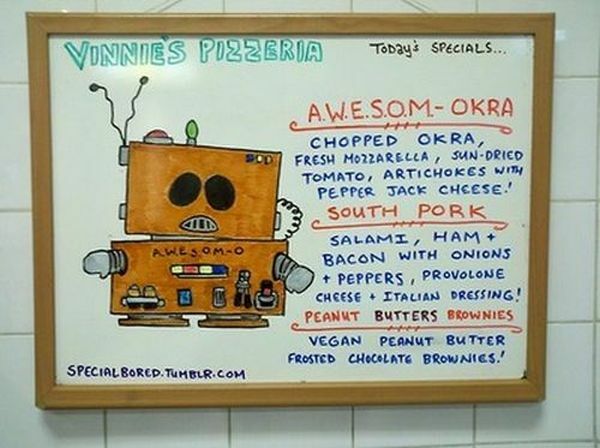 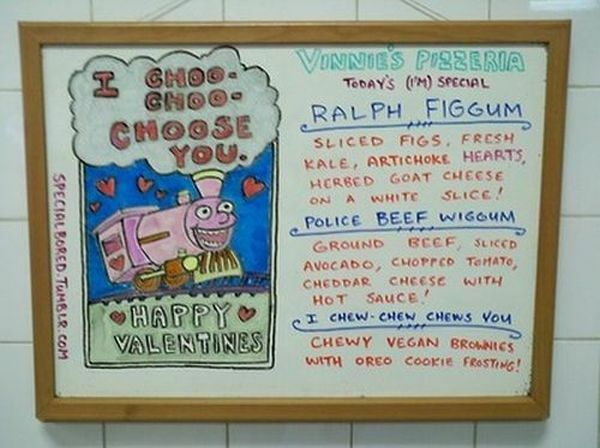 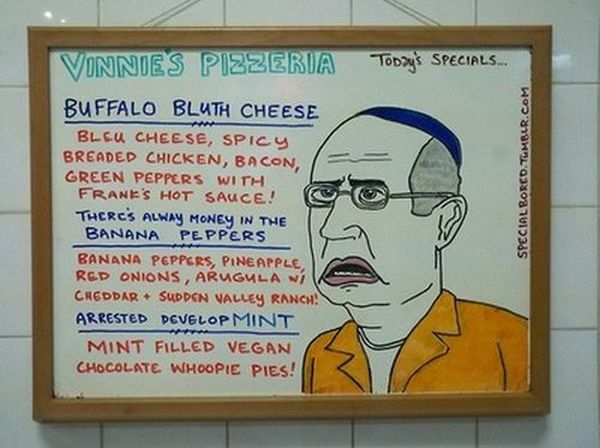 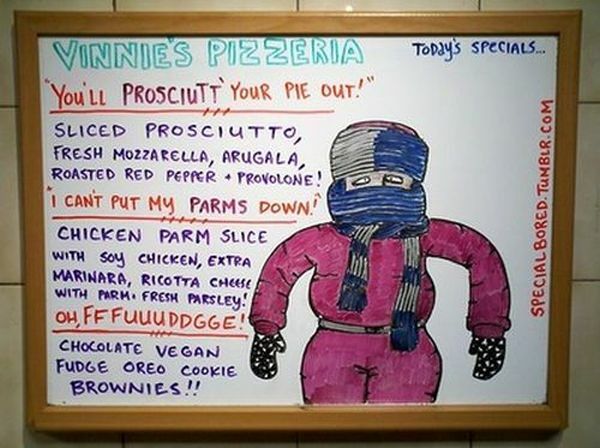 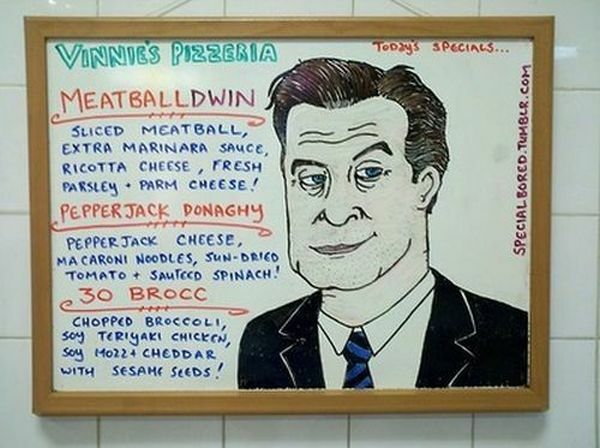 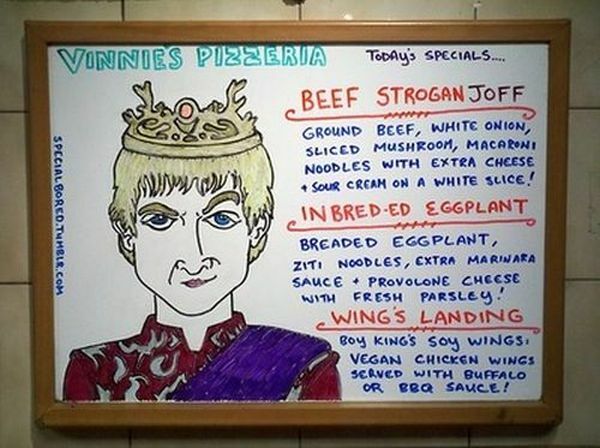 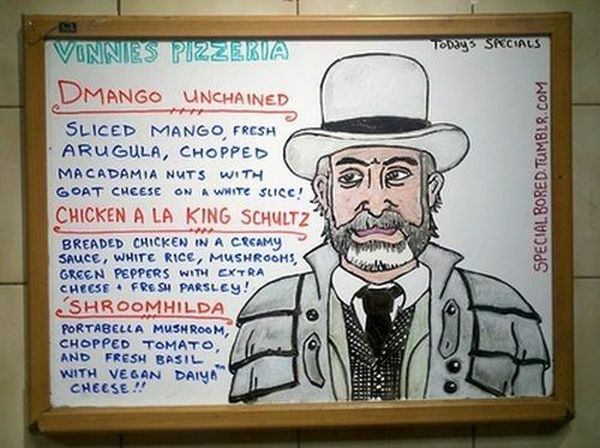 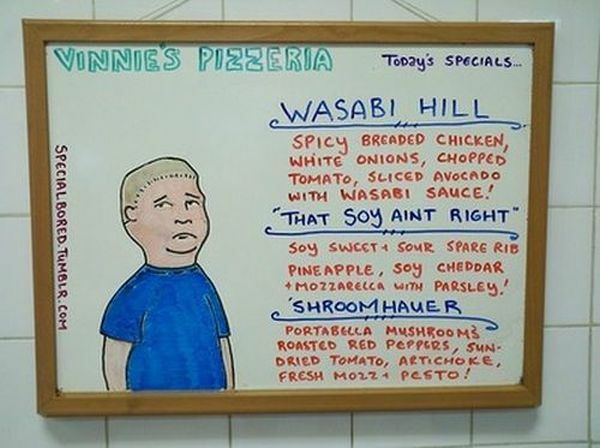 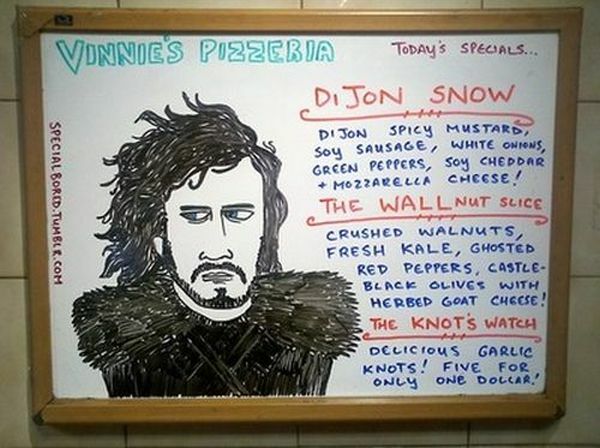 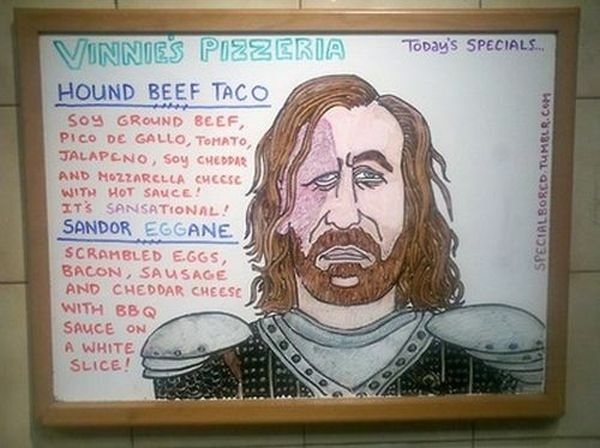 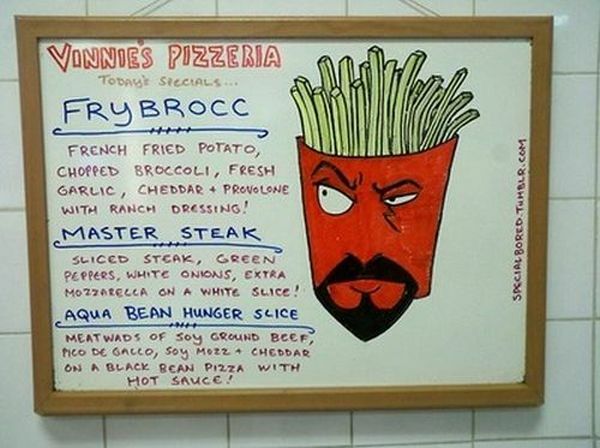 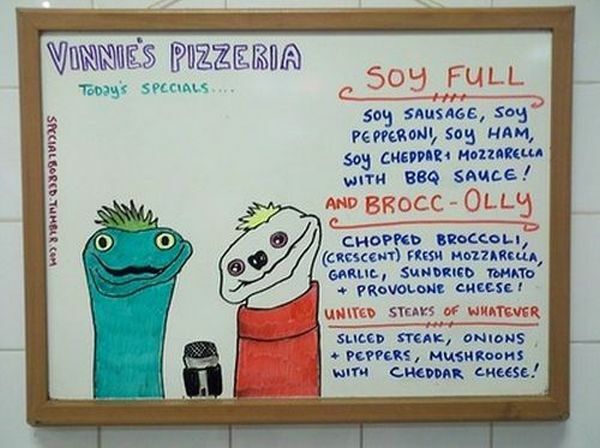 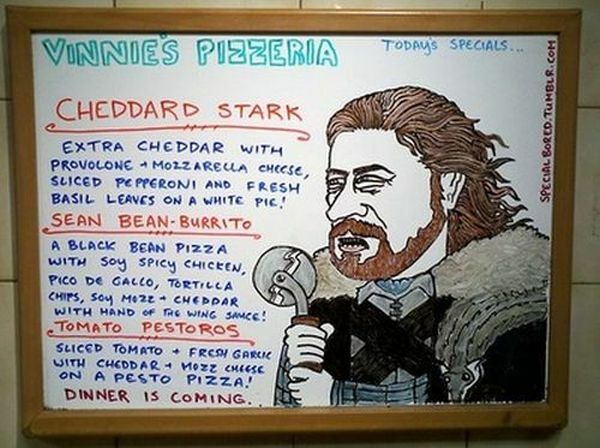 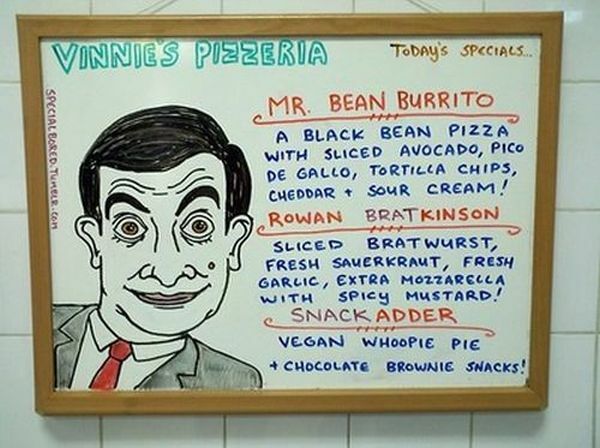 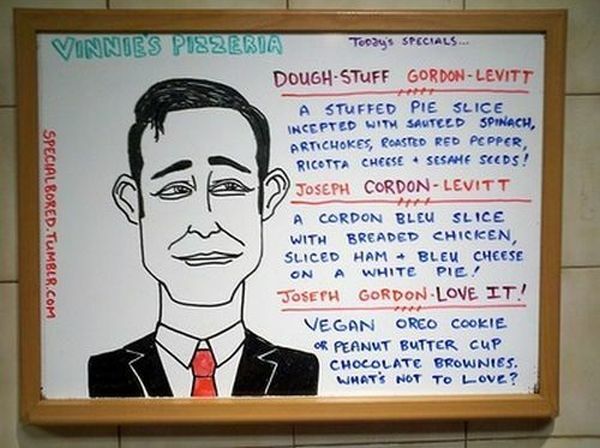 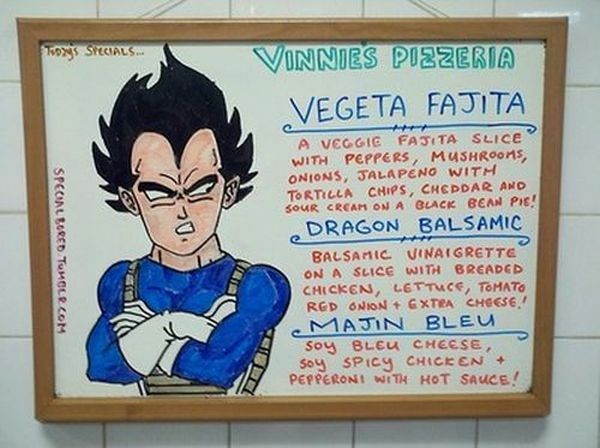 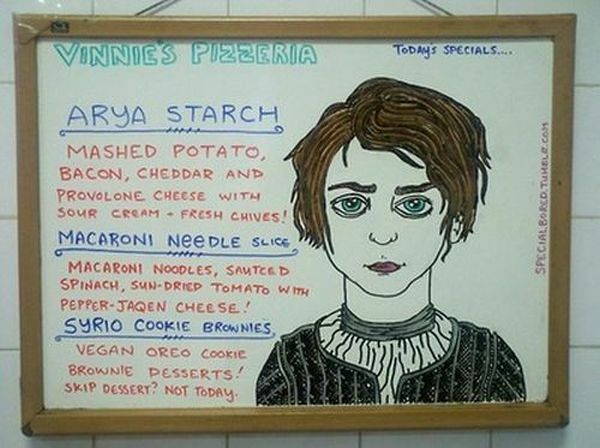 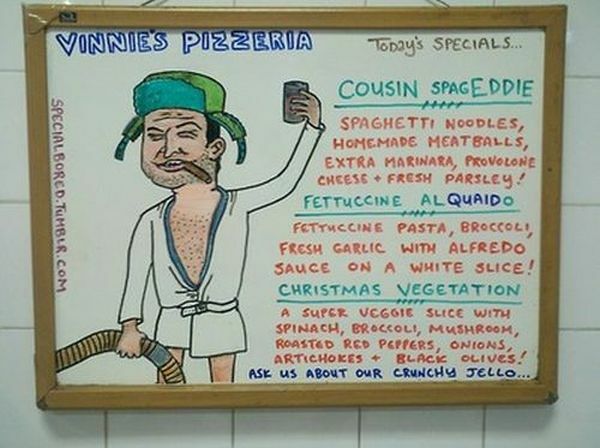 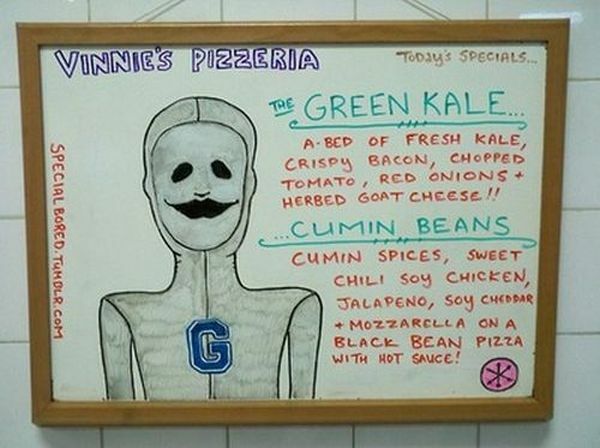 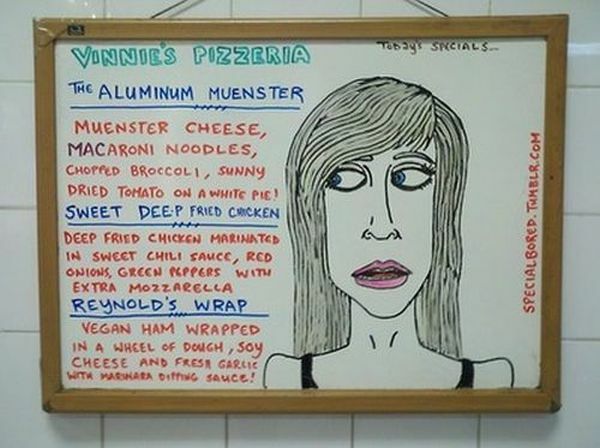 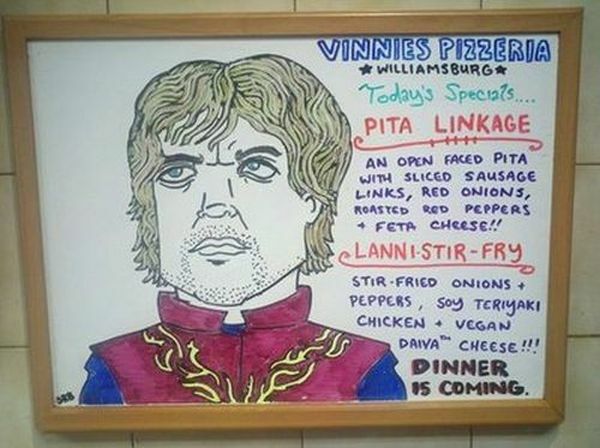 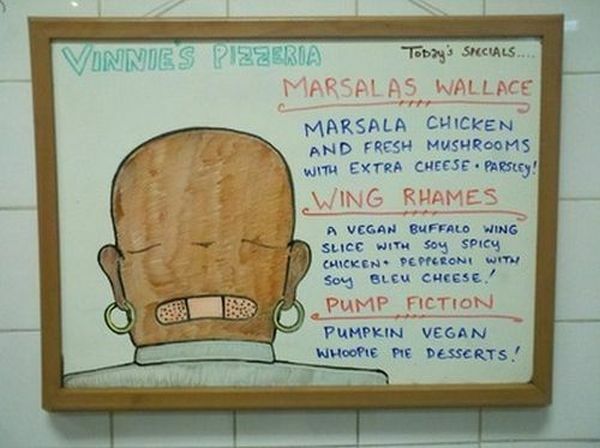 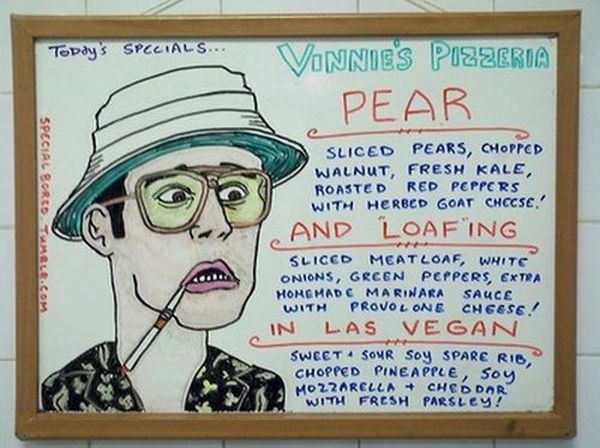 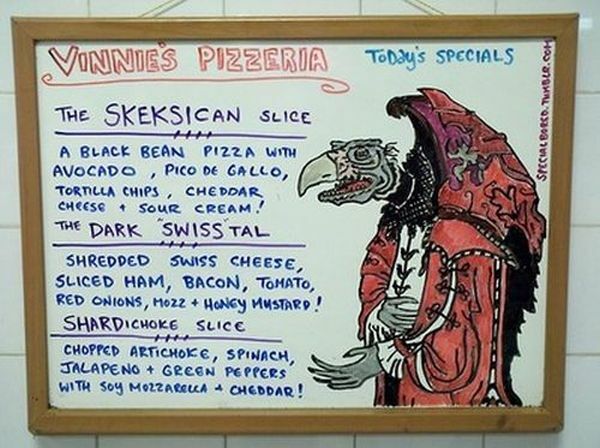 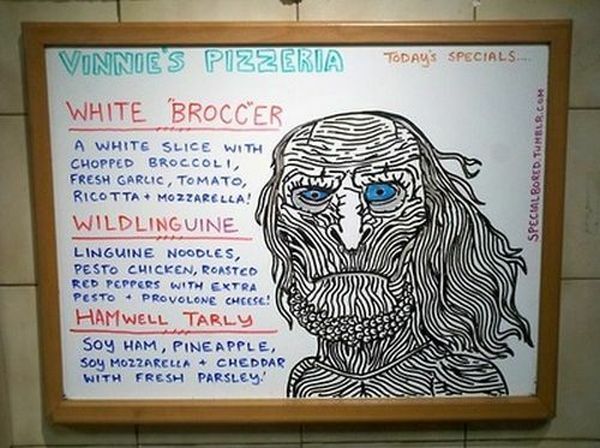 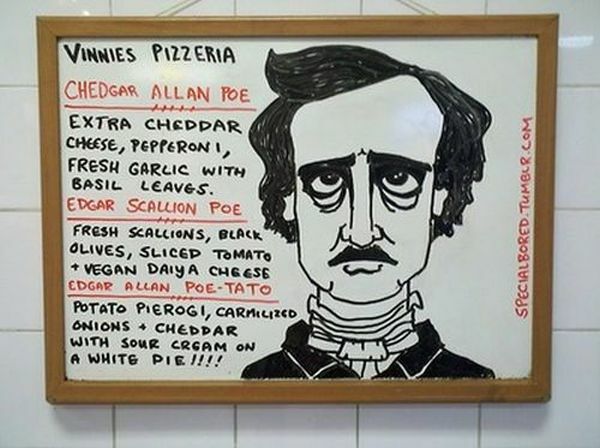 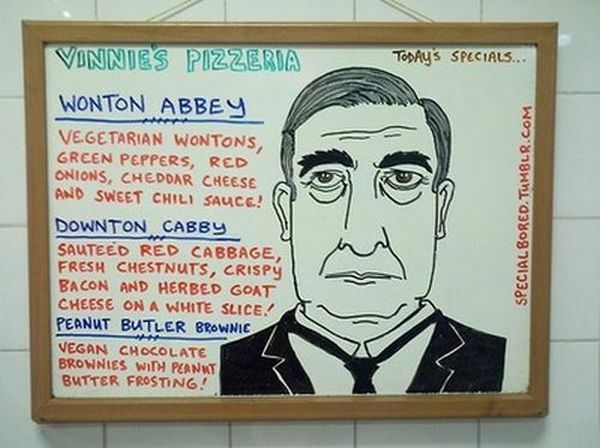 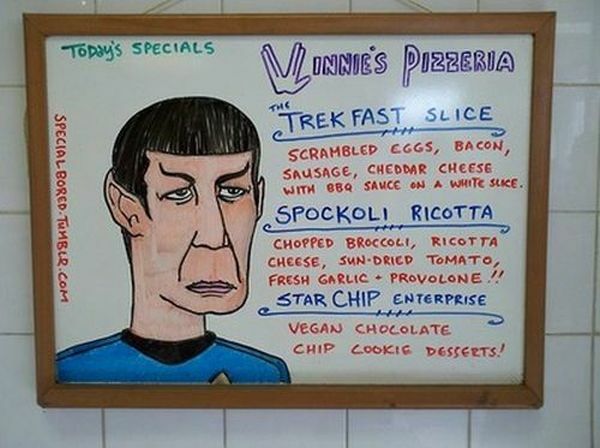 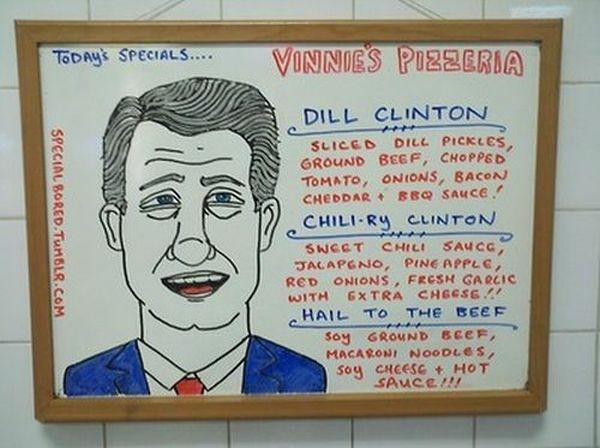 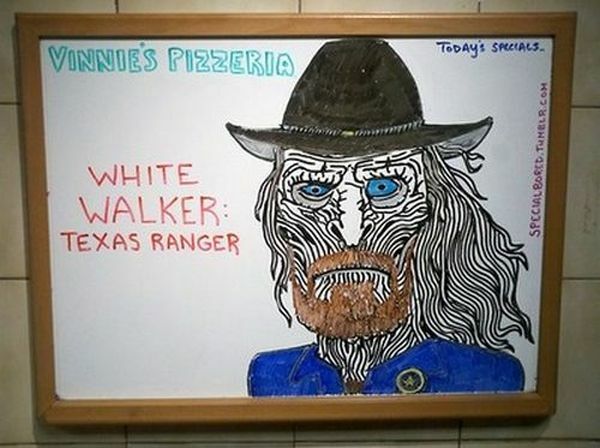 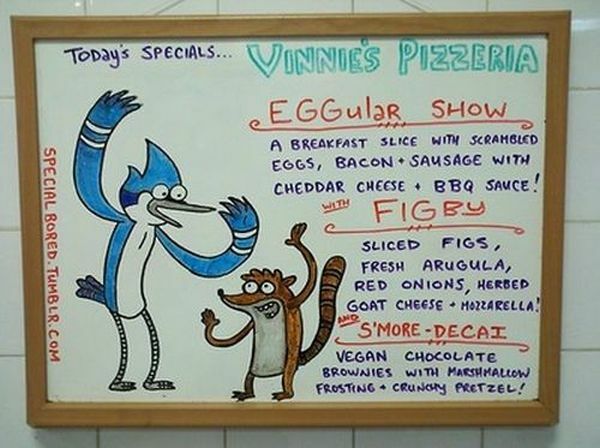 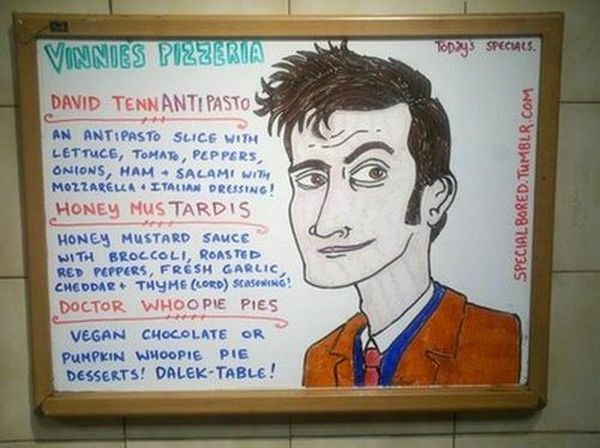 Very creative menu specials at Vinnie’s Pizza in Brooklyn. 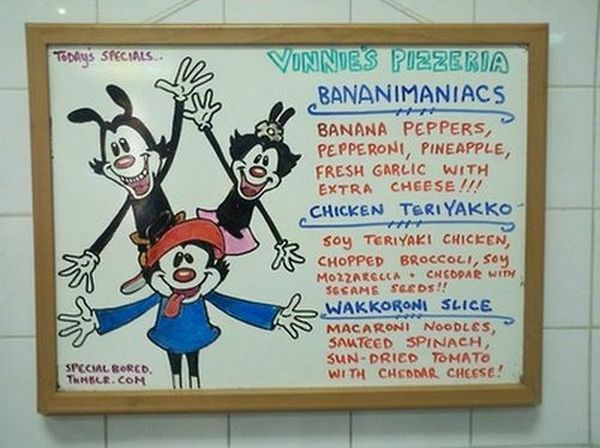 1 response to "Menu Specials at Vinnie’s Pizza (45 pics)"
Where is Vinnies!?!? 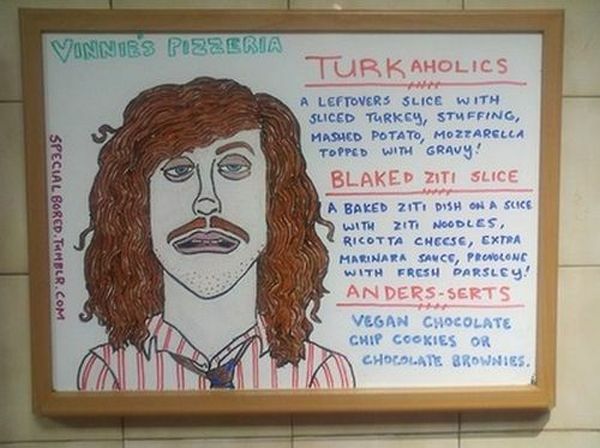 I want a Turkaholics slice!